Once the weather gets hold of traditional fascias and soffits their performance will dramatically dip and they will become relatively inadequate which is something that needs immediately renewing. Wooden soffits require more maintenance to keep them in good order, the rain eventually rots the wood and there is a need for painting them to protect the wood and keep them looking good. You can attempt to treat them to restore them back to their original state, for example by applying capping boards over softwood-timber fascias, but very often once they’ve passed their peak their effectiveness permanently diminishes. The installation of brand new UPVC fascias and soffits will resolve the problem for good and give you a greater return of investment in the long run. 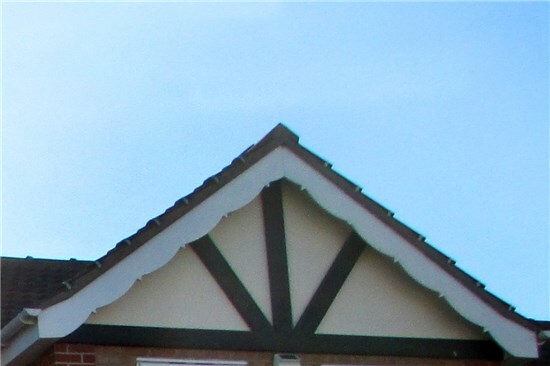 Our experienced workers are trained to repair or replace/update your old soffits. All of our work is performed to a high quality and standard and is provided at a reasonable budget to suit you and to make your home looking exactly how you want. White, Cream, Irish Oak, Golden Oak, White Ash, Black Ash, Grey. UPVC soffits are an ideal substitute for traditional timber cladding, with the added upsides of a low-impact roofline system, it will look good for many years and is virtually maintenance free - requiring just the occasional wipe down with soap and water will keep it looking like new.